Are you on a quest for high-quality blinds, shades and shutters to accent your home or business? Then you’ve come to the right place. At BlindQuest, we are a family owned and operated Hunter Douglas Gallery serving the greater Troy, Illinois area. When it comes to custom window treatments that are built to your specifications, there is no one better in your area who can deliver consistent quality service like we can. 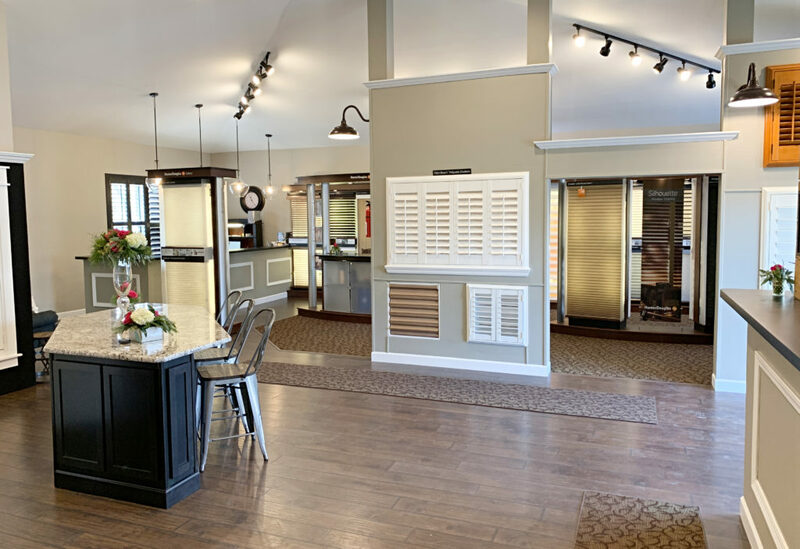 Because we’re an authorized Hunter Douglas Gallery, you can expect nothing but the highest quality custom window treatments designed and measured to fit your home. Whether you’re looking to put the finishing touches on your home or are looking to sell your property, our products will enhance the curb appeal of your home and make it the envy of the neighborhood. A wide selection of opaque, translucent, and semi-sheer fabrics. A wide selection of vertical & horizontal blinds. A wide range of stylish design, energy efficiency, sun protection, and privacy. Highest energy-efficiency rating and best in class honeycomb shade collection. Custom shutters designed for sun protection, light control, and privacy. View our gallery to find the perfect blinds for your home. At BlindQuest, quality is what we're known for. Because of our commitment to customer satisfaction, we have built an incredible reputation for excellent work and professionalism. Come into our showroom today or give us a call at 618.667.2005 to schedule you in-home design session. Family owned and operated Hunter Douglas Gallery in Troy, Illinois. Work with our specialists through every step of our process. Get started on your home’s new additions today by contacting us! Contact BlindQuest for a free consultation today! At BlindQuest, quality is what we're known for. Because of our commitment to customer satisfaction, we have built an incredible reputation for excellent work and professionalism. Come into our showroom today or give us a call at 618.667.2005 to schedule your in-home design session.